Super Savings! 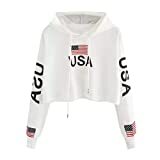 Up to 36% off on Internet Postage Labels at Global Find. Top brands include Labels123, HouseLabels, Spbamboo, Cable And Case, DigiOrange, & Sanford. Hurry! Limited time offers. Offers valid only while supplies last. 6 Rolls; 150 Labels per Roll of DYMO-Compatible 99019 1-Part Internet Postage Labels (2-5/16" x 7-1/2") -- BPA Free! 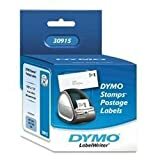 100 Rolls; 150 Labels per Roll of DYMO-Compatible 99019 1-Part Internet Postage Labels (2-5/16" x 7-1/2") -- BPA Free! 25 Rolls; 150 Labels per Roll of DYMO-Compatible 30384 2-Part Internet Postage Labels (2-1/4" x 7-1/2") -- BPA Free! 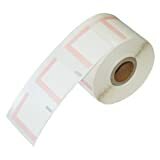 2 Rolls; 150 Labels per Roll of DYMO-Compatible 30383 3-Part Internet Postage Labels (2-1/4" x 7") -- BPA Free! 50 Rolls; 150 Labels per Roll of DYMO-Compatible 30384 2-Part Internet Postage Labels (2-1/4" x 7-1/2") -- BPA Free! 4 Rolls; 150 Labels per Roll of DYMO-Compatible 99019 1-Part Internet Postage Labels (2-5/16" x 7-1/2") -- BPA Free! 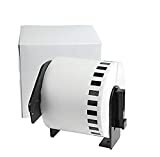 4 Rolls; 100 Labels per Roll of DYMO-Compatible 30387 3-Part Internet Postage Labels (2-5/16" x 10-1/2") -- BPA Free! 12 Rolls; 150 Labels per Roll of DYMO-Compatible 30384 2-Part Internet Postage Labels (2-1/4" x 7-1/2") -- BPA Free! 12 Rolls; 150 Labels per Roll of DYMO-Compatible 99019 1-Part Internet Postage Labels (2-5/16" x 7-1/2") -- BPA Free! 25 Rolls; 150 Labels per Roll of DYMO-Compatible 30383 3-Part Internet Postage Labels (2-1/4" x 7") -- BPA Free!